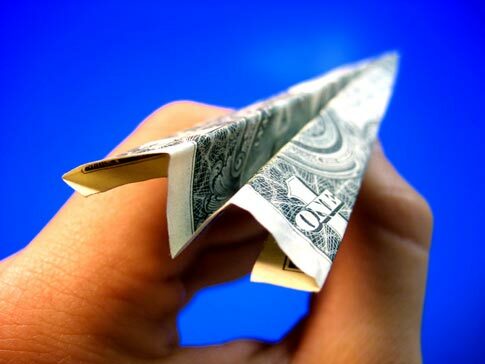 Should Church Financial Budgets be Public? Do you believe that it’s wrong for churches not to publicly display how all the tithes and offerings were allocated throughout the year? Is there any scriptures in God’s word that support your reasoning? Why do you think some churches do not show how the money was used? Of course churches should open the books for the givers (specifically) and the public (generally) to see where the money goes. Why would they not want to share where they put the ministry money to good use? Unless they’re stealing it or using it to grow the pastors own bank account, of course. Luke 16:1-13 records Jesus’ parable of the unjust steward, and the punishment for financial mismanagement. Since these “ministries” are so quick to claim tax free status (like the American Red Cross, The Salvation Army, and others), then they should be held to the same accounting standards (and punishments) of those organizations as well. Should church financial budgets be made public? My answer is a whole hearted YES. I mean, when should the church ever not exercise full transparency with the very people who are funding it? I recently ASKED this question to my church and after coming up with several excuses as to why they don’t have one the tables got turned and I was told that if I don’t trust current church leadership I should join a church where I can. 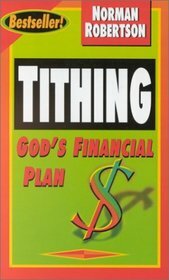 I have become quite disenchanted with the “seeker friendly” churchs that want you to some how “buy in” to their dream…oh yea, that dream comes with a price tag–tithing!! I am sadened that Pastors aren’t willing to hit the so called pause button and listen to God to see if this is in-line with HIS will. But as long as people are coming to see the show on Sunday they can justify the dream that the pastor holds, and do it without asking ANY questions. To say the least we are in the process of looking for another church. Heck, it might be that we simply DO church in our home. I’ll support the local homeless pantry with our giving…at least I know it will be going to the very cause that Jesus mentioned in Matt 6. Of course, the church is a non-profit organization and the church budget must presented to the public if ever asked to do so. 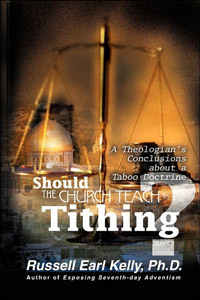 The church can’t be doing under the table money stuffs that are not right anyways. I definately think the financial records should be made public. Our church is a large congregation that is growing every week. We are in the mist of building a new church, but never seem to be able to make our monetary goals. Yet every year, the senoir pastors (all from the same family) buy new cars for each of them, and travel extesivley around the world. One just got back from spending a month in London. Where are they getting all that money? From tithes of course. I would love to see the financial records! Tithes and offerings should be handle with much respect. Respect for those that have worked hard and given in obiedence. Respect in that the monies given be used to the edifying the Lord. Not leaders personal agenda’s, dreams or ideas. Doing so in an obmination to the Lord. If you are a pastor, teacher, prophets, leader in any form and have any influence with the tithes and offerings, ensure you are using for the Glory of God. I understand Pastors have to be paid, however, their salary should be established at the begining of the year. Financial reports should be discussed in “Church Meetings”. As long as people can see that money is being used wisely and godly, they generally do not have a problem sowing. I suggest you look up if tithing was a law under the old covenant. If you read your bible properly and not be spoon fed by pastors who promote unbiblical money tihes for profit then you will see it is a big lie . We all know where all lies are from not from Jesus. So before you promote a lie make sure which side you are on because God does not promote lies. Read MAthew 23:23 properly and see what Jesus said about it if it was included in the Mosaic law or not under the old covenant. I hope more people will speak up about this matter, I trully believe that it is important to hold church leaders responsible for clear accounting of church finance including spending. The members should be allowed to question and see the records due to the fact as mentioned, members tilted as obedience to God’s teaching in the bible, if the money is used as supposed, there should not be any secret to hide. In a large congregation, the amount of every week’s tilthing can be very large. Allowing the finance to be kept in the dark can lead to serious temptations for those who can access it to misuse the funds. Whats going on in the church today is disgraceful;Pastors are deliberately misleading their congration in believing that if you don’t pay your thiths, a curse will be on you. What a lie? straight from hell. The apostle Paul tells us that if you go back to legalism then you are under a curse. should each memeber receive a copy of church finance report ? My father ran a YMCA. It is non-profit. They publish their finances. Everything is out in the open. If my father once said “no one is allowed to ask questions about the finances” he would have been replaced immediately. My last church never published their finances, and you were not allowed to ask the Pastor where the money went. He felt it became his money the moment it was turned in. I left and am now at a church that discloses everything. Honesty! Openness! Nothing that will shame the gospel!